Marco Island is a city in Collier County, Florida, United States, located on an island by the same name in the Gulf of Mexico off the coast of Southwest Florida. On the 10th (Sun), you'll have a packed day of sightseeing: see what you can catch with a fishing tour and then get up close to creatures of the deep with a dolphin and whale watching tour. To find maps, traveler tips, where to stay, and other tourist information, read Marco Island trip planner . Toronto, Canada to Marco Island is an approximately 8.5-hour combination of flight and bus. You can also do a combination of bus and flight; or drive. Plan for warmer temperatures traveling from Toronto in March, with highs in Marco Island at 31°C and lows at 19°C. 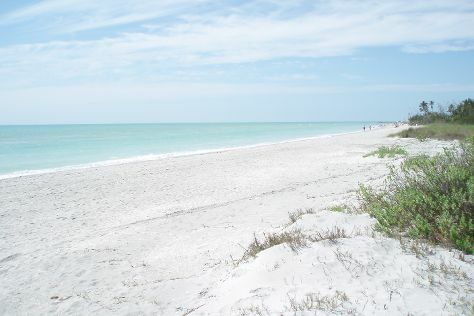 Finish up your sightseeing early on the 11th (Mon) so you can go by car to Fort Myers Beach. Fort Myers Beach is a town located on Estero Island in Lee County, Florida, United States. Get in touch with nature at Captiva Beach and Bowman's Beach. Explore the numerous day-trip ideas around Fort Myers Beach: The Bailey-Matthews National Shell Museum (in Sanibel Island) and Barefoot Beach Preserve (in Bonita Springs). There's still lots to do: see majestic marine mammals with a dolphin and whale watching tour, immerse yourself in nature at Lovers Key State Park, and glide through the air with a parasailing or paragliding tour. To see reviews, traveler tips, maps, and other tourist information, read our Fort Myers Beach trip site . Traveling by car from Marco Island to Fort Myers Beach takes 1.5 hours. Alternatively, you can take a bus. In March, daytime highs in Fort Myers Beach are 32°C, while nighttime lows are 17°C. Finish up your sightseeing early on the 14th (Thu) so you can go by car to Marathon. Kick off your visit on the 15th (Fri): look for all kinds of wild species at Dolphin Research Center, identify plant and animal life at Crane Point Museum & Nature Center, then identify plant and animal life at The Turtle Hospital, and finally tour the pleasant surroundings at Sombrero Beach. On the 16th (Sat), you'll have a packed day of sightseeing: cast your line with a fishing tour. To see ratings, photos, traveler tips, and more tourist information, you can read our Marathon trip builder site . Getting from Fort Myers Beach to Marathon by car takes about 5 hours. Other options: do a combination of bus and flight; or do a combination of ferry and bus. Traveling from Fort Myers Beach in March, expect a bit warmer with lows of 24°C in Marathon. Wrap up your sightseeing by early afternoon on the 16th (Sat) to allow enough time to travel back home.